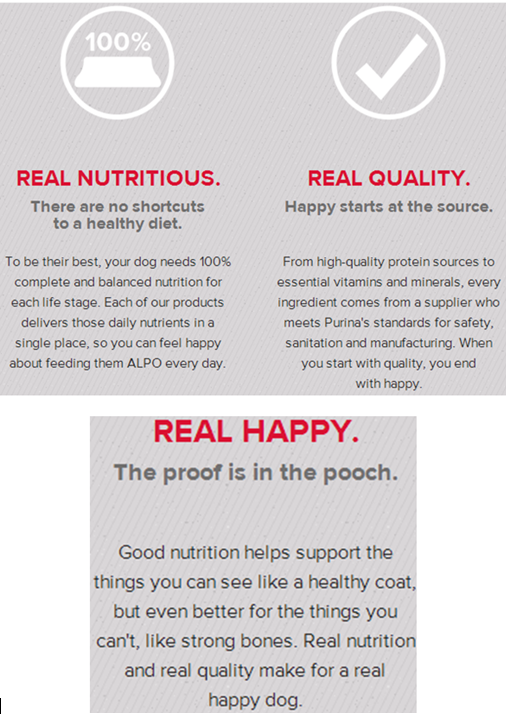 Happy Starts Here With Alpo! You are here: Home / Sponsored / Happy Starts Here With Alpo! I have told you before about how much our dog Molly loves Alpo wet dog food. As you can see above, she continues to lick the empty bowl, she loves it so much! Well, Alpo asked me to share with you one of their new Happy Starts Here campaign videos about Alpo wet dog food. Switching your dog to ALPO from another dog food is easy. Each day feed more ALPO and less of the previous food, until you’re feeding ALPO exclusively. A gradual transition over 7 to 10 days will help keep their system happy! A healthy weight on your dog shows like an hourglass figure, literally. Do an Overhead Check by looking top down on your dog. You should be able to see a waist behind their ribs. If not, might be time to adjust feeding amounts and exercise. Whether you feed once or twice a day, make sure you do it at the same time every day. Dogs like structure, and look forward to mealtime. Don’t forget a measuring cup. 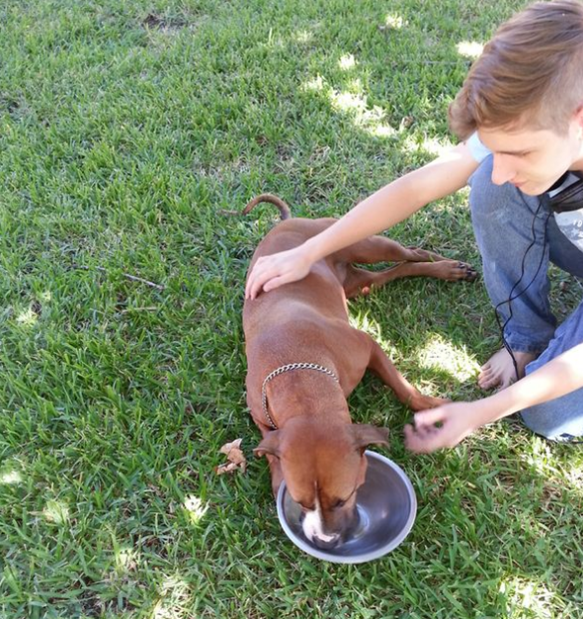 When dishing out your dog’s food, use a measuring cup for making sure you’re sizing meals that suit your dog. Remember, it’s important to consider your dog’s size, breed, age and activity level when determining his daily caloric needs. Is your dog a picky eater? Feeding wet food at room temperature can help with palatability and is especially important for older dogs that may experience diminishing sense of taste and smell. Is your dog a healthy weight? Give ‘em a Rib Check. Put your thumbs on your dog’s backbone and spread both hands across his body. You should be able to feel his ribs. If not, might be time for a doggy diet. What’s your dog’s best side? His profile can tell you about his health. You want to see an abdomen that is tucked up behind the rib cage. Most human food doesn’t provide the complete and balanced nutrition dogs need. That’s why table scraps are not recommended and should be avoided. As dogs age, their senses of smell and taste can fade a little, along with their ability to chew effectively. Feeding wet dog food is an excellent choice that’s easy to chew and digest, even easier on the teeth and can encourage a healthy appetite. Dietary supplements are typically not required when feeding nutritionally complete and balanced food like ALPO. Treats are a great way to help train your dog or simply reward him with a pleasant surprise. Just remember that treats should make up no more than 10% of a dog’s daily caloric intake, and mealtime portions should be reduced accordingly to maintain balance. You can check out the ALPO® Instagram page to see other pics of Alpo Loving Dogs! Use #HappyStartsHere to Instagram pics of your dog! Think that’s funny? See what else our focus group has to say about our favorite blogger dogs!